NEW YORK, October 12, 2018 – Drinking might cost a person their job, but why? How does a hangover affect cognitive skills? With its 19 years of experience, CogniFit a leader in cognitive tests and training, knows the importance of cognitive skills in daily life. After evaluating and training over 20 cognitive skills, CogniFit recognizes that cognitive skill impairment, whether due to brain injury or momentary hangovers can jeopardize a person’ s daily life. Gunn, Mackus et al. (2018) established that alcohol withdrawal during a hangover may affect a person’s cognition, including their memory, attention, coordination and even driving skills. When we are in bed about to sleep, we may not worry that our reaction time or our focused attention is working at maximum performance, however, we do need to worry when we cross the street and we must move away to avoid being hit by a car. Not noticing the presence of a car approaching us, or reacting too late, can have fatal consequences. Although an extreme example, cognitive skills are essential for work, studies and day to day life. Kim, Yoon et al. found that, overall, people who were hungover had poorer attention, memory and coordination skills, compared with those who weren't hungover. Vester, Van Duin, et al. also studied memory functioning during a hangover and established that memory retrieval processes are significantly impaired. “We constantly use our cognitive abilities throughout the day and, depending on the demands of the environment and the situation, we will need to have our cognitive abilities in good condition. When we are in bed about to sleep, we may not worry that our reaction time or our focused attention is working at maximum performance. However, we do need to worry when we cross the street, and we must move away to avoid being hit by a car. Not noticing the presence of a car approaching us, or reacting too late, can have fatal consequences. Although an extreme example, cognitive skills are essential for work, studies and day to day life.” says neuropsychologist David Asensio on the importance of cognitive skills. CogniFit scientists explain what these hungover impairments might mean in a person’s daily life and how important it is to maintain brain and cognitive health. Alterations to visual memory: Being hungover can lead to blurred vision. This reduction in visual sharpness can affect people at work, studying or even just getting around. The Numbers Delay: For example, the person is paying for their morning coffee and seem to be a bit slower than usual paying because the numbers on the coins and bills don’t seem to click in their visual memory. Reduced working memory: Alcohol intake might have an effect on mnemonic strategies, this might reduce the time between storing and manipulating temporary information making it difficult to maintain information for the task at hand. The Repetitive Query: A worker’s boss calls to remind the name of the person leading the meeting, after talking for a few seconds the worker can’t recall the name given and feels super embarrassed to ask again. Impairment to focused or sustained attention: Focused attention makes it possible to detect relevant stimuli. The body is focusing on getting back to homeostasis making it difficult for the brain to keep attention on the task that needs it. The Mindless Multitasker: Someone gets to work and opens their email, suddenly remembers that they had an unfinished document and opens it, meanwhile they realize they need to talk to the marketing department, when they also realize that a full hour has gone by and they have still not finished any of the options they set of to do. Decreased coordination: After drinking a moderate to a large amount of alcohol a person’s pulse the next day is shaky, and they may feel clumsier, this reflects the effect of alcohol on the parts of the brain that control muscles. Clumsy town: General clumsiness is heightened when hungover, for example, a person entering a meeting with the coffee and half-way through the door the coffee spills all over the floor and on their new suit. Slowed reaction time: Being hungover can have serious consequences when it comes to reaction time. Since the brain is still trying to filter the effects of alcohol, it will take less time to react to its surroundings. Studies have shown that driving while hungover can pose a threat for the person behind the wheel and others since they might not react as fast to stop signs, red lights or sudden events. Driving Whoopsie: Coming to a red traffic light, the person doesn’t realize until right on the pedestrian crossing, leaving no option but to block half of it. By knowing beforehand what is the state of a person’s cognitive skills and training them, they might be more aware when the cognitive skills are not in shipshape to take on tasks that may endanger the person or others. CogniFit offers the opportunity to assess and train 23 cognitive skills through brain games. CogniFit's patented technology has been designed by an international team of scientists, neurologists, and psychologists who investigate and combine the latest discoveries on the brain with advanced adaptive algorithms and big data analytics. 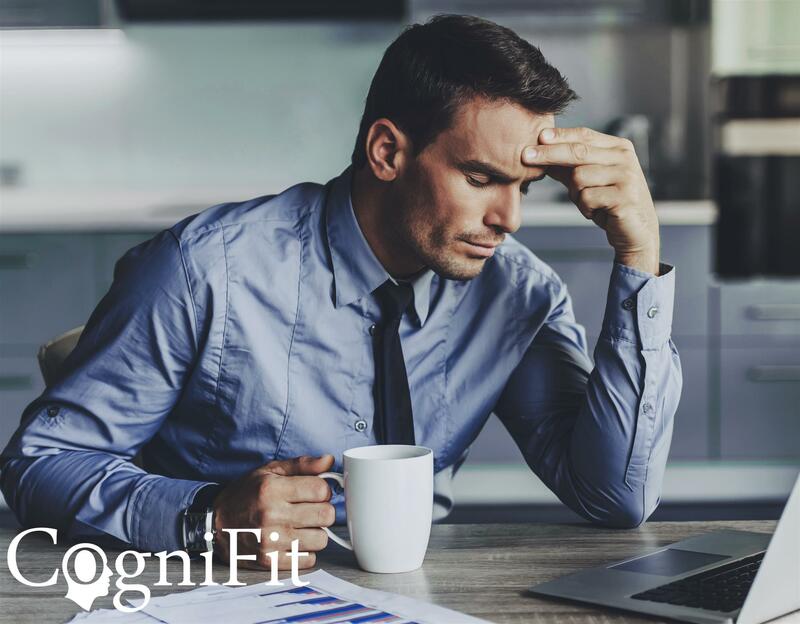 For nearly 20 years, CogniFit has been developing personalized brain fitness programs with leading scientific institutions and published its results in several peer-reviewed publications. As a major vendor in the cognitive assessment and training market, CogniFit offers its programs to individuals and companies in various verticals, such as healthcare, education, research, health and wellness, driving and human resources. Its brain fitness solutions are available in 19 languages.